A senior editor at Breitbart News, Joel Pollack, has responded to allegations that Steve Bannon, Donald Trump's new chief strategist and senior advisor, made anti-Semitic comments in the past. "I have worked with Stephen K. Bannon, President-elect Donald Trump’s new chief strategist and senior counselor, for nearly six years at Breitbart News. I can say, without hesitation, that Steve is a friend of the Jewish people and a defender of Israel, as well as being a passionate American patriot and a great leader. "A word or two about my credentials: I am an Orthodox Jew, and I hold a Master of Arts degree in Jewish Studies. My thesis at the Isaac and Jesse Kaplan Centre at the University of Cape Town dealt with the troubled status of Jews in an increasingly anti-Israel, and anti-Semitic, post-apartheid South Africa. I believe myself to be a qualified judge of what is, and is not, anti-Semitic. "It defies logic that a man who was a close friend, confidant, and adviser to the late Andrew Breitbart — a proud Jew — could have any negative feelings towards Jews. As I can testify from years of work together with Steve in close quarters, the opposite is the case: Steve is outraged by anti-Semitism. If anything, he is overly sensitive about it, and often takes offense on Jews’ behalf. 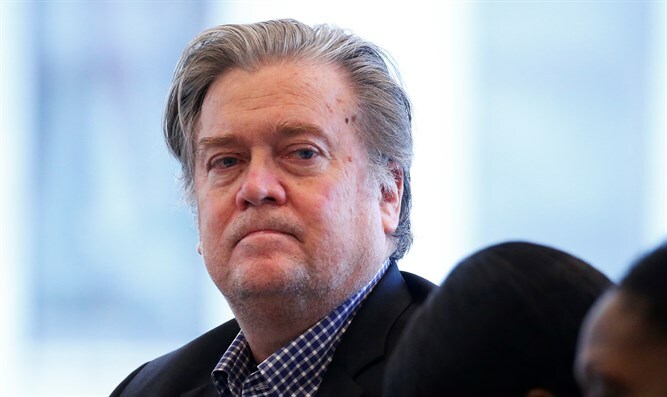 "Steve cares deeply about the fate of Jewish communities in America and throughout the world, a fact that is reflected in Breitbart News’ daily coverage. It was in that spirit that Steve joined Breitbart News CEO Larry Solov (also Jewish) in launching Breitbart Jerusalem last year, fulfilling Andrew’s dream of opening a bureau in Israel specifically to cover the region from an unabashedly Zionist perspective. "Steve is a tireless, disciplined manager who demands excellence — and who seeks talent regardless of distinctions of race, gender, religion, sexuality, or any other kind. He has a clear sense of strategy and vision, yet welcomes debate and dissent on the basis of data and facts. He is also passionate about fighting corruption, and restoring the constitutional vision of our Founders. And he is calm under pressure, as his work as CEO of the Trump campaign shows. "Americans should see Steve’s appointment to a key White House role as a positive sign that President-elect Donald Trump intends to fulfill his promises. "While being targeted is a badge of honor for Steve, lies are lies, and they deserved to be called what they are." Pollack added that the Democratic media tend to tarnish any conservative by claiming he has ties to the KKK but in this case there is no credence to such allegations.